Their whole cakes will feature a flower pot design with a commemorative greeting. 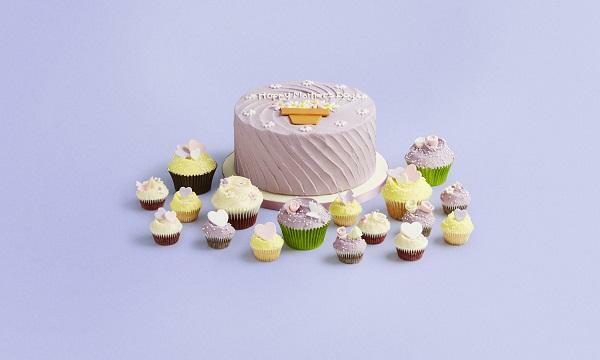 The Hummingbird Bakery has announced that their range of Mother’s Day cakes and cupcakes will be available for pre-order on March 1 and for delivery or collection on March 27 to 31. The cupcakes and mini cupcakes are said to be frosted in pastel colours and decorated with handmade fondant decorations including hearts, flowers and butterflies. The Mother’s Day cupcake gift box comprises six cupcakes and it also has vegan and gluten-free alternatives. Meanwhile, the whole cakes will have a flower pot design with a ‘Happy Mother’s Day’ message. It is available in vanilla, chocolate and red velvet flavours and comes in 6” and 8” sizes. A few weeks ago, they introduced their upcoming Valentine’s Day collection which will be launched on January 31.